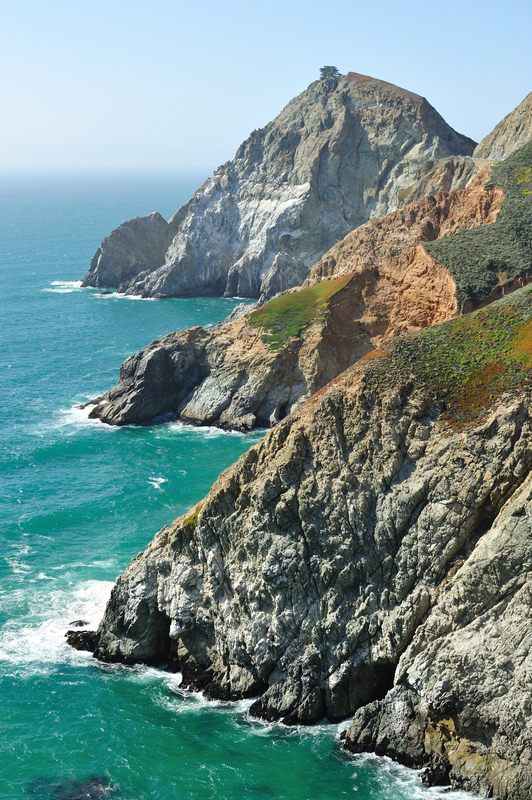 Famous for beautiful views, much of California’s Highway 1 runs along cliffs on the Pacific Coast, but mudslides from the steep terrain above Highway 1 often close sections of the road for months at a time, including here at Devil’s Slide. Zircon end-users really appreciate that they can call or email us with their questions and quickly get answers from someone who really knows the products very well. One day when I was covering a shift on Zircon’s end-user help desk, I got a call from the crew who were building the Devil’s Slide tunnel. 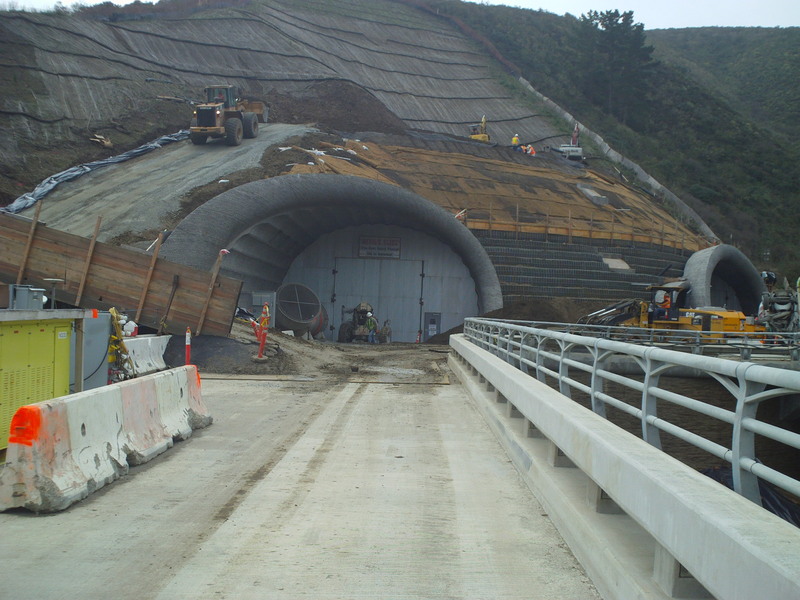 Entrance to Tunnel – The State of California decided to build 2 tunnels; 1 for northbound traffic, and 1 for southbound traffic. Each tunnel is approx. 4,200 feet long (about 4/5ths of a mile). It is a much more challenging application for using the MT6 compared to a concrete and steel building or slab because of the massive amount of rebar. I told Zircon’s engineers that instead of a concrete wall with steel reinforcement, Devil’s Slide Tunnel is more like a steel wall with concrete filler. 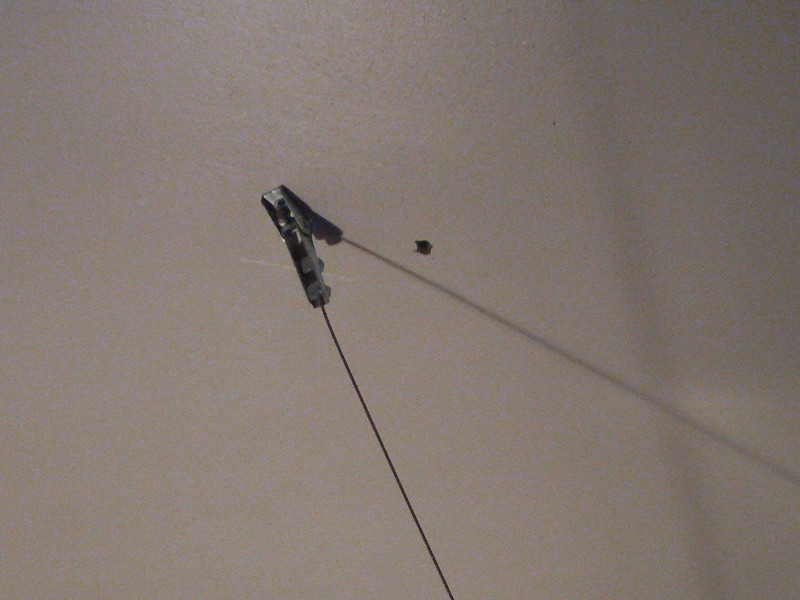 They were having trouble using the Zircon MT6 to locate rebar in the ceilings of the mechanical room. They needed to miss the rebar to install ventilation. The problem was that the tool seemed to indicate metal everywhere. Because Devil’s Slide is such a large infrastructure project, and in earthquake country, a massive amount of steel exists compared to a typical concrete wall or floor. I decided to go to the site to see if I could help them. Please see photos and captions for the solution we found. 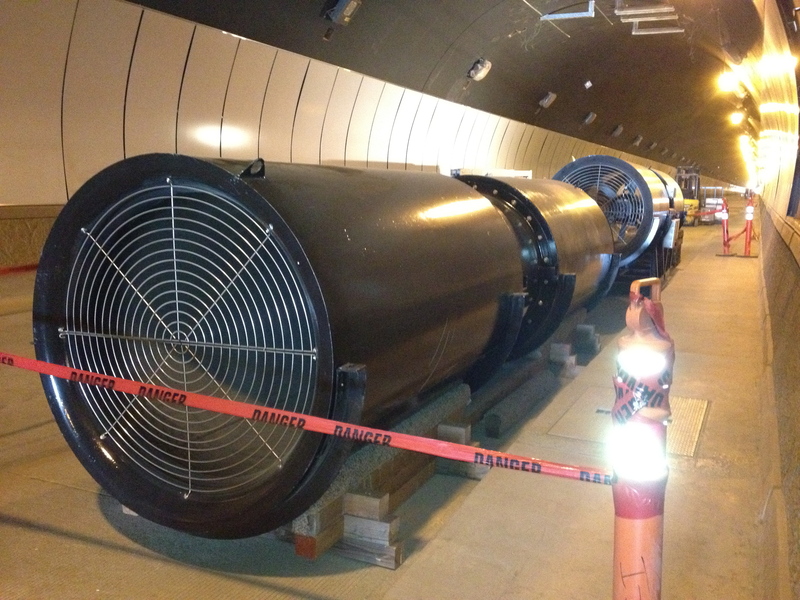 The 2 tunnels are connected with 10 mechanical rooms, and this is the first location where they needed to use the MT6. 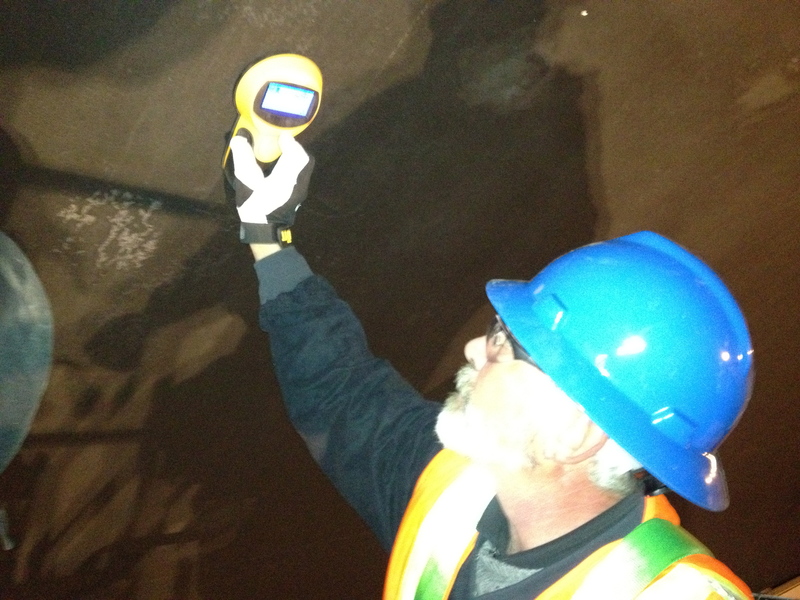 The California State contract requires that the workers must scan the concrete with a metal scanner such as the MT6 before penetrating it with a fastener to install this ventilation system. Before using any scanner, the workers hit rebar about 1/3 of the times they drilled, so they would have to try a new location and patch the unneeded hole, as you can see in this first of ten mechanical rooms. 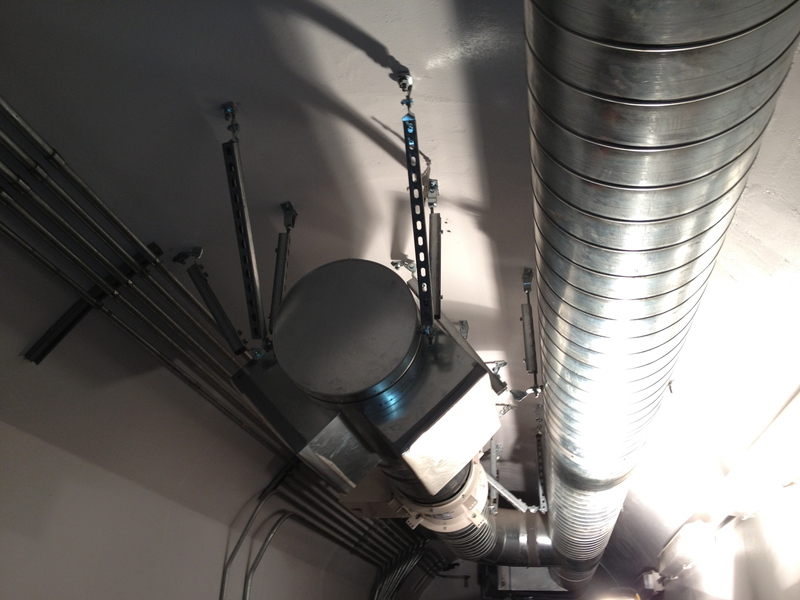 But for mechanical rooms 2 – 10 (using a Zircon MT6) they were about 99% successful in missing the rebar. Rather than focusing the MT6 to finding metal, instead we looked for the weakest signals, and that system worked. The next job for the MT6 was in the main tunnels. Again, the workers needed to scan before installing fasteners for Jet Fans, but now they would be high up in a bucket. The lightweight nature of the MT6 was perfect for performing multiple overhead scans, and the workers appreciated that it was very quick to scan and determine the weakest magnetic field where they could install a 4 ½ inch fastener and miss the rebar. When Zircon was doing research and development on the new MetalliScanner x8 metal scanner we took a prototype unit to the crew at Devil’s Slide. 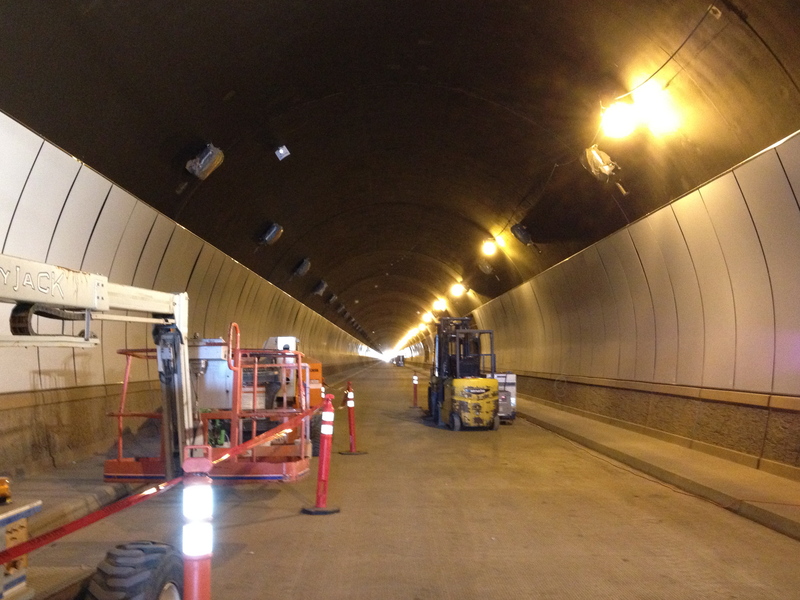 Although the MT6 had been an extremely useful tool that saved them a lot of time and money, they really liked the x8, and they completed the job of installing fasteners to support the jet fans in the tunnel using the x8. Two features they especially liked on the x8 are 1) the backlit screen, and 2) the ability to select three sensitivity settings. The workers suggested it needed a loop for a wrist strap to prevent dropping the x8, and we incorporated it into the final design. The Devil’s Slide project is a great example of showcasing the ease of use, functionality, and performance of Zircon’s tools. Whether you’re a do-it-yourselfer or a professional tool user, we’re happy to answer your Zircon tool questions. Our Zircon in the Real World blog, “We Just Want it to Work” addresses this subject in more detail and I invite you to take a look. Please also follow us @zircontools, like us on Facebook, or visit http://www.zircon.com.